This past July, the Russian 'Winnie the Pooh' turned 50. Boris Zakhoder is the man credited with translating 'Winnie the Pooh' storybook into Russian so that Russian children too could have their very own Pooh bear. It was on July 13, 1960 that the 1st version of 'Winnie the Pooh' titled "Vinni Pukh i vsye ostalniye" ("Winnie the Pooh and All the Rest") was released. The book was based on the famous stories by A. A. Milne and drawings were done by Alisa Poret. 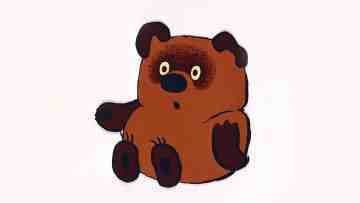 Speaking to RIA Novosti Zakhoder's widow, Galina Zakhoder said that though the Russian Pooh image might seem similar to the one created by E. H. Shepherd for A. A. Milne, but it is not what Boris Zakhoder envisaged. "The bear imagined by Milne and Zakhoder was not fat and stuffed with sawdust," she said. Galina Zakhoder also added that earnings from the first edition were used by her husband towards buying their first car - a Moskvich. Currently, there is an exhibition being held at the Timiryazev State Biological Museum to celebrate 50 years of Vinni Pukh. The exhibition showcases the famous honey pot, houses and hives of Vinni Pukh and his other friends.